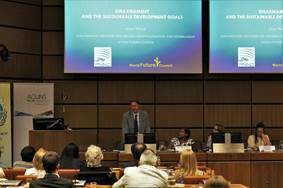 In honor of the UN's International Day of Peace, an innovative event was held in the Vienna International Center (United Nation) on September 16, 2016: a look at the intergenerational challenges of peace through the lens of the Sustainable Development Goals (SDGs). 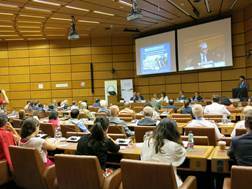 The compelling combination of international speakers and panelists ranged from diplomats, academics, and civil society leaders to UN officials, and public-policy experts. 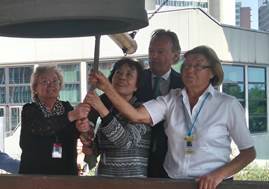 In an unique approach, speakers included female WWII witnesses from across the world, including an atomic bomb survivor, a woman who lived through the Blitz bombings in England, and an Austrian subjected to deportation and forced labor. 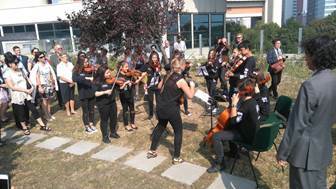 Youth was incorporated into the event both as audience members and as musical performers. 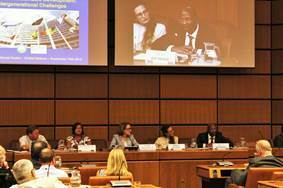 Sponsored by the Universal Peace Federation and the Academic Council on the United Nations System, the conference animated the Sustainable Development Goals (SDGs) with historical context, contemporary realities, and forward-looking vision. 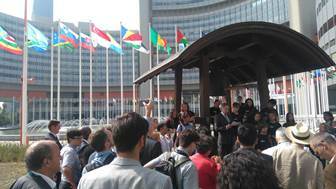 The morning session focused on ''Connecting Peace and the UN's Sustainable Development Goals.'' 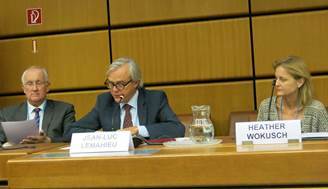 Opening speeches began with a welcome from Peter Haider, president of the Universal Peace Federation in Austria; following was a keynote from Jean-Luc Lemahieu, Director of Policy Analysis and Public Affairs, UNODC. 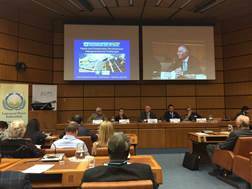 Mr. Lemahieu discussed the UN's agenda in tackling challenges which create social disarray and highlighted the UNODC's related work. 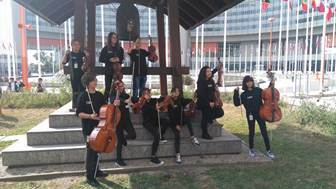 Norway's Ambassador Bente Angell-Hansen praised the cooperation between UNODC and Interpol in fighting corruption and then discussed the importance of SDG 10 in reducing the inequalities which drive conflict. 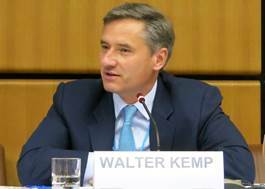 Dr. Walter Kemp, Vice President of the International Peace Institute, outlined ''Pulling Together: The Multilateral System and Its Future,'' an upcoming report from the Independent Commission on Multilateralism. 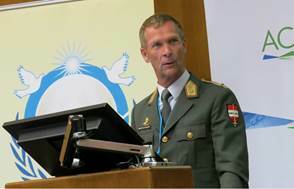 Brigadier Dr. Feichtinger of the Austrian Defense Academy delineated ''Five Thoughts'' about taking responsibility for peace both within oneself and in relation to the broader world. 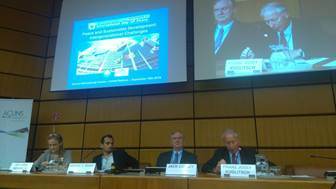 Next was the first session on the intergenerational challenges of peace. 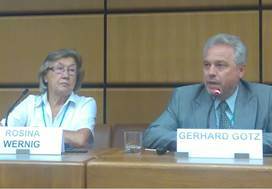 Mr. Gerhard Götz of the Austrian Permanent Mission to the UN Vienna spoke of his Mission's commitment to the United Nations, while Rosina Wernig, an Austrian WWII witness, discussed the Nazi regime's persecution of Austrians of Slovenian descent within the context of contemporary cultural struggles. 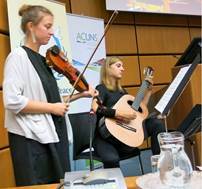 Sarah and Mira Gregoric of the Slovenian music school in Carinthia played two musical selections inspired by the International Day of Peace and Slovenian culture. The panel discussion from 11:30am-12:30pm was entitled: ''What is the connection between peace and the implementation of various SDGs?'' 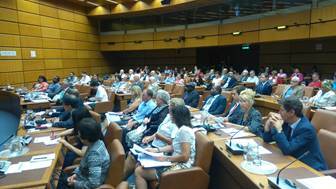 Dr. Michael Platzer, Liaison of the Academic Council on the United Nations System, chaired the session and gave a comprehensive statistical analysis of the various SDGs, concluding that the international community showed little regard for those in need. 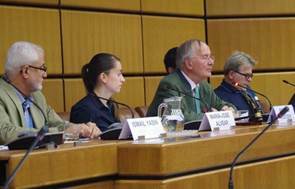 Dr. Ismail Yasin of the Austrian Academy of Sciences considered issues of good and evil in contemporary policy, while Dr. Stefan Stoev, Founder of the IDEA Society, discussed the impact of images and art on cultural values. Dr. Anis H. Bajrektarevic, professor in international law and global political studies, argued that powerful countries are not held responsible for the exploitation they create; Maria-Jose Alvear of the Regional Academy on the United Nations discussed new possibilities for the Comprehensive Test Ban Treaty. 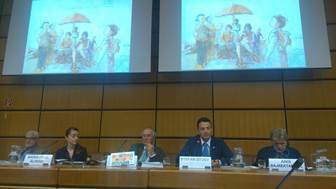 The afternoon session, which focused on ''Peace, Sustainable Development, Disarmament and Engaging the Public,'' began with a clip from the Riahi brothers' upcoming film entitled Kinders. Film director Arash T Riahi then discussed the importance of education and intercultural understanding in achieving peace. Jack Corley, Chair of the Universal Peace Federation in Europe, spoke about the fundamental principles of the organization and gave an overview of his group's many accomplishments. 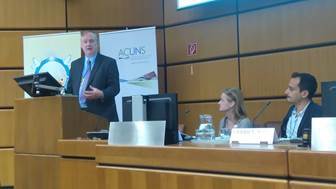 Ambassador Franz Josef Kuglitsch, Director of Disarmament, Arms Control and Non-Proliferation for BMEIA, discussed his Ministry’s leadership regarding nuclear disarmament. 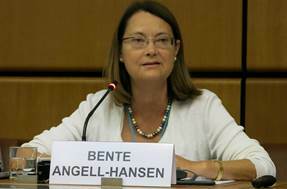 Next was the afternoon session on the intergenerational challenges of peace. 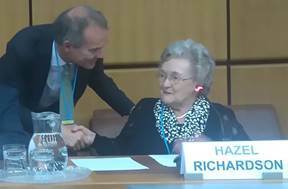 Ambassador Leigh Turner, UK Permanent Representative to the United Nations in Vienna, introduced the WWII witness from England, Hazel Richardson. Ms. Richardson talked about growing up during the Battle of Britain and the ongoing emotional effects of having experienced constant bombardment. 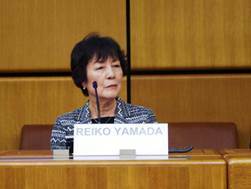 Mr. Fukuichiro Tanaka, Minister-Counsellor of the Permanent Mission of Japan to the International Organizations in Vienna, then introduced the atomic bomb witness, Reiko Yamada, who gave a compelling call for nuclear disarmament. The final panel examined: ''What is the connection between peace, disarmament and the implementation of various SDGs? How can the general public become more engaged?'' 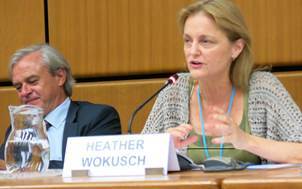 Laura Rockwood, Executive Director of the Vienna Center for Disarmament and Non-Proliferation, chaired the session and gave an engaging talk on the necessity for nuclear abolition. 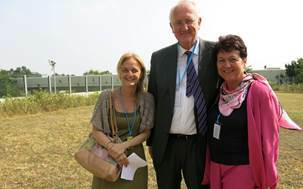 Nadja Schmidt, Director of ICAN Austria, and Alyn Ware, Global Coordinator of Parliamentarians for Nuclear Non-Proliferation and Disarmament, discussed the accomplishments of their various organizations and joined the call for nuclear disarmament. 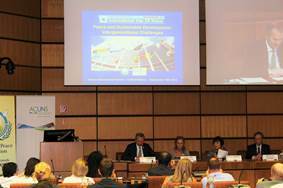 MP Petra Bayr discussed an upcoming SDG-related event at the Austrian Parliament, while Billy Batware, Consultant, Civil Society Team of UNODC, highlighted the challenges of pursuing innovation within the UN system. In closing the conference, Heather Wokusch, one of the organizers, thanked the participants. 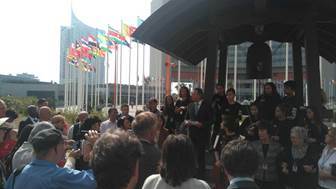 She noted the historical significance of including the elderly witnesses in the International Day of Peace event, especially since the UN had been created when WWII ended, with the specific mandate of advancing peace, security, development, and human rights.